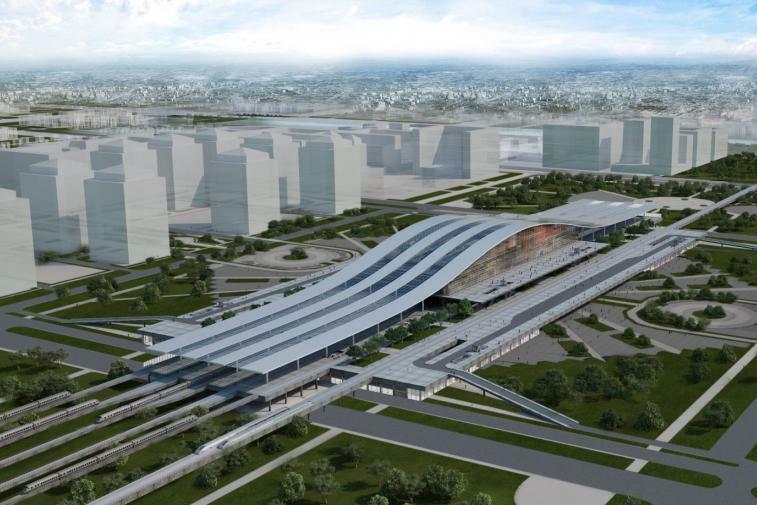 Forming a key part of the infrastructure upgrade for Kazakhstan’s new capital city, Astana Rail Station will be a significant boost for the country’s economic growth and booming population. The station will be completed in time for the 2017 Expo, which will be hosted by the city. The Expo is set to have a theme of ‘future energy’, with the station showcasing cutting edge design and technology. 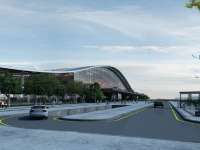 The station will be a mixed-use complex featuring an iconic terminal building, retail units, office space and car parking, with an overall construction area of 210,000m2. Utilising our proven track record of delivering signature architecture in Astana, BuroHappold Engineering has been involved with the project from the outset, collaborating with Tabanlioglu Architects and Sembol Construction. Seeking to bring sustainability to the forefront of the design, our team needed to develop a bespoke sustainability framework for the site. As well as having a focus on reducing dependence on natural resources, the framework also needed to consider the wider social and environmental aspects of sustainability such as mobility, biodiversity and ethical working conditions. With an expected 38,000 people per day travelling to and from the station, developing a strategy for the movement of people, vehicles and goods to and from the station was critical. Security is also key in the development of the station design. With terrorism and other major crime a real concern in large, populated spaces, our team had to carefully consider the safety of the passengers and staff. Our team completed climate and facade studies to allow us to specify the most efficient fabric to minimise heat gain and loss. We also recommended glazing that reduces solar gain while allowing the structures to be flooded with natural light. By selecting the highest performing fabric we have reduced the capacity needed for the systems equipment, which in turn will lead to a reduction in energy consumption. In addition, a district-heating network ensures the carbon emissions from the site are minimal, while photovoltaic (PV) panels are proposed to generate electricity on site. Our experts worked collaboratively with local city authorities to develop a future proof people movement plan, providing pedestrian dynamic modelling in response to operational scenarios that have been established with Kazakh Rail Authority. Using bespoke modelling tools developed in-house, our SMART team created animations and images to show the client how the station would work in action. Our efforts will ensure passenger comfort while achieving efficient movement within the rail station. BuroHappold has delivered a security strategy that aims for maximum passenger comfort and optimal security to achieve the exacting requirements of Kazakh Rail Authority KTJ. We worked with the philosophy of Crime Prevention Through Environmental Design (CPTED) to design a space that will provide a cost effective, robust defence against the treat of terrorism and other security threats without compromising passenger comfort. The resulting design consists of a number of security zones, ranging from publically accessible entrances and car parking to restricted workspaces and secure delivery areas. This approach allows security to be located in the most effective locations in the station, while enabling functions to be varied depending on the level of threat. Further adding value, our engineers have applied practical building initiatives to deliver the stunning and intricate station roof, providing a cost effective construction strategy that can be achieved in a tight timeframe. 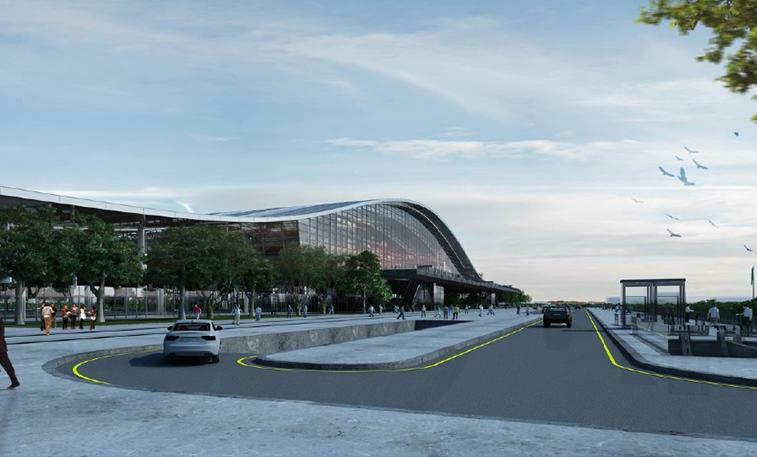 BuroHappold has worked closely with the architect, client and local planning authorities to ensure that Astana Rail Station will be an energy efficient, safe and comfortable facility for the thousands commuters and tourists who will travel through it every day. Our work will ensure that this iconic station will successfully serve the people of Astana and visitors to the region for generations to come. 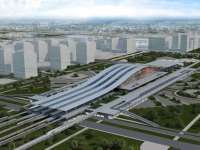 A testament to the pioneering design implemented by the project team, Astana Rail Station won an urban award at the MIPIM Future Projects Awards 2016.